Fun photos. Fletch was saying the other day that he heard that in some area you can once again have milk delivered to your home in glass bottles! What great memories in those photos. There was a cooperative creamery about a block from our house when I was a kid. They bottled milk and cream, made butter and ice cream, and candled eggs. I worked there one summer in high school - processing the checks for farmers providing eggs and raw milk. And my cousin drove the bulk milk truck. I was the last full-time agriculture reporter in the state of Wisconsin, and I loved covering dairy. I knew nothing about agriculture, but then I was downsized into the ag job -- and had the best time. I used to be able to explain milk prices! When I went back to school to become a teacher, the paper cut the position. So sad. What a wonderful post, full of memories. I find it so sad that the small farm has more or less been forced out of business. To have a family with ties so close to the land makes you appreciate the struggle farmers go through on a daily basis. My uncle had dairy cows and I remember that no matter what, the cows needed to be milked and your day was planned around those two times! Great post, Nancy! It reminded me of my grandfather's farm and his dairy cows, and another time in CO when we forgot to bring in the milk, and the bottles popped their tops in the freezing weather. Cool! My grandpa use to tell us stories about driving the milk truck! He drove a bread truck and a laundry truck too! Great memories and photos to spark them! 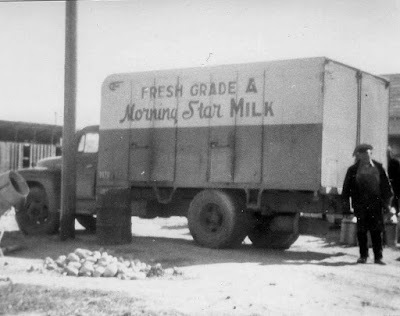 My gramps was a dairy farmer and I loved the stories but that was all gone by the time I was aware of what was what! 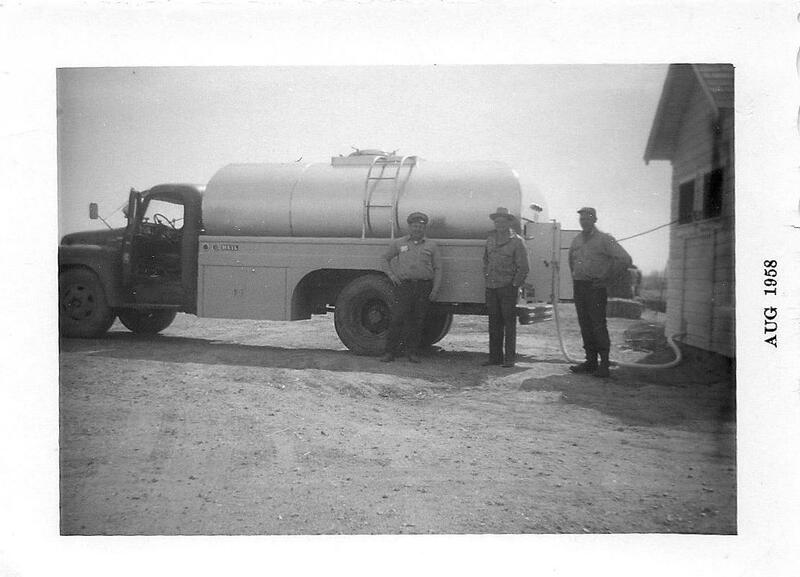 Wow do I ever remember the milk trucks, and the milk man (Elmer) who delivered to us! Glass bottles, in a wire framed box on the porch! My father was a milkman starting in the 50's thru the 80's in Downey California. We had lots of fun on the dairy farm but did not live there. That was a great time to be a child. Dad use to not only deliver the milk to his customers but had keys to most houses and put the milk in their refrigerator. Great memories. My Uncle John had a dairy farm in Schuylkill County, PA. 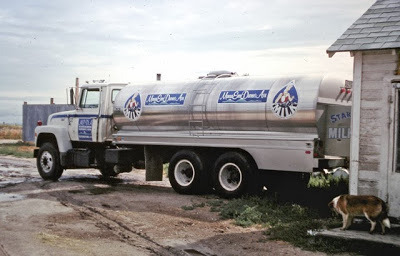 He originally milked for Martin milk, but joined a larger co-op in the 60s (Lehigh Valley Dairy). I have been looking in all the antique stores for either a Martin milk or Lehigh Valley Dairy bottle to add to my collection. What a great glance of history. And, all the comments added great info. Evidently NOBODY in my family did any type of farming that I was ever aware of. Now, if you want to know who helped build (design?) the first freeway in California I have you covered. Small world. Jay was my grandpa.